Eight years ago, Kol Peterson had just moved to Portland and was searching for affordable housing options. He soon discovered the concept of the ADU—accessory dwelling units, smaller houses sharing property with main houses—and decided to build one himself. The resulting ADU and his accompanying blog proved to be super successful, and now Peterson teaches classes, consults, and advocates for ADUs. Peterson recently published a book about the process called Backdoor Revolution: The Definitive Guide to ADU Development. We asked him all about it. What’s your personal history with ADUs? In 2010 I was moving back to Portland, and I was looking for a financially sustainable form of housing for myself. I looked at a variety of different options, including tiny homes on wheels and bus conversions, living in some kind of communal situation. I ultimately learned about ADUs at that point, and realized that buying a property and building an ADU and renting out the primary house would potentially be a really financially sustainable way for me to live. This is in recognition of the fact that housing costs are the single biggest cost we all face in America. I found a property, built the ADU in the back, moved into it, ended up renting out the front house and [have] been doing that ever since. And it’s worked out far better than what I imagined. The rental income off the primary house covers the entire mortgage and then some, and I’m living in a beautiful house that I designed and built. So it’s a pretty awesome setup. How did you get involved in helping other people with their ADUs? While I was building the ADU, I was cataloging the process very intensively on a blog. There was no information anywhere on the internet on building an ADU. I got a good amount of readership for my blog, so that indicated to me there was interest and a need for education. As soon as I finished the ADU, I started teaching a class. I had no intention of getting into this business, it was just an accident. It started out with a class of 13 people. Now it’s a class of 30 people. 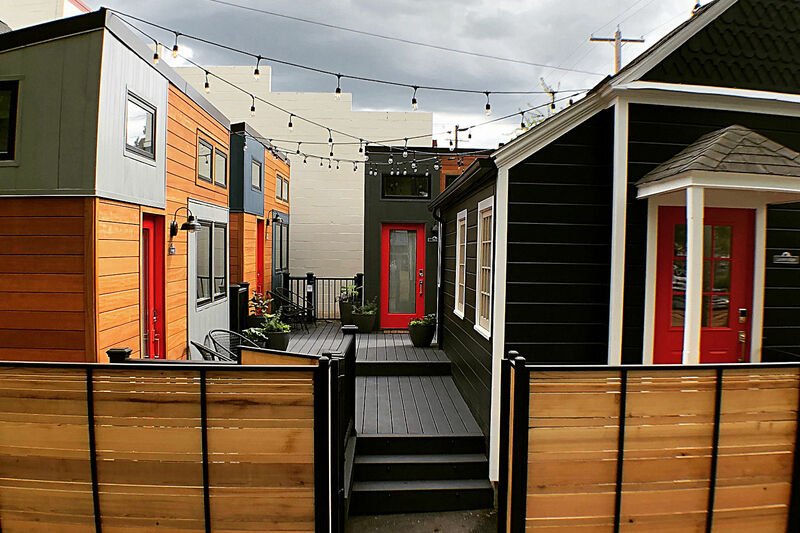 How did Portland make it easy for you to build an ADU, and how can other cities follow Portland’s example? Portland is pretty widely recognized as the leader of ADUs in the US. What that means is that Portland has the most flexible ADU regulations out there, in terms of placement of the ADU as well as what structural forms the ADU can be. It doesn’t just have to be a basement or an attached ADU. It can be detached. Specifically, we do not have requirements that ADUs have an off-street parking spot. Every jurisdiction around Portland requires that. Another thing is the no-owner occupancy requirement. 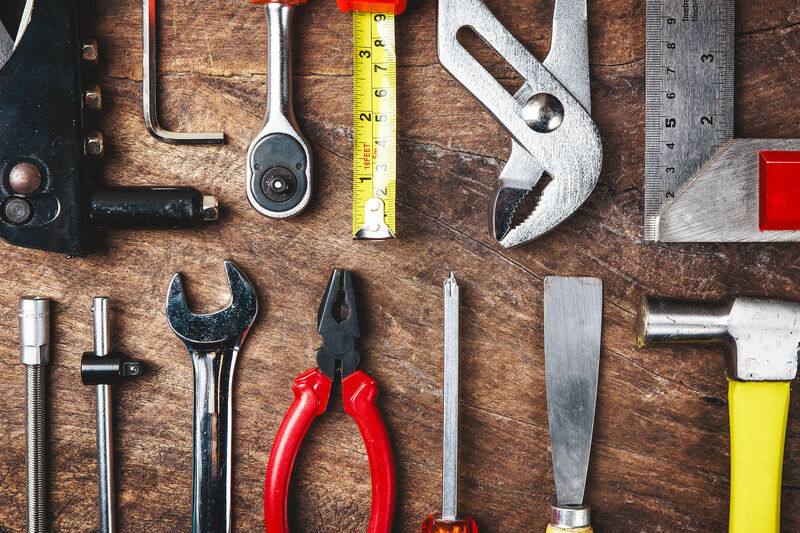 In most jurisdictions there’s a rule that if you build an ADU, you have to live on that property for the rest of your life or sell the property. You can’t rent them both out. That affects the value of ADUs, it affects the appraisals, and it affects the ability of homeowners to finance ADUs. So why build an ADU? There are two things. No. 1 is space efficiency. No. 2 is location efficiency. What I mean by that is the biggest part of our environmental footprint is the residential structure size in which we live. So simply by reducing the size of the structure we live in, we can significantly reduce our carbon footprint. 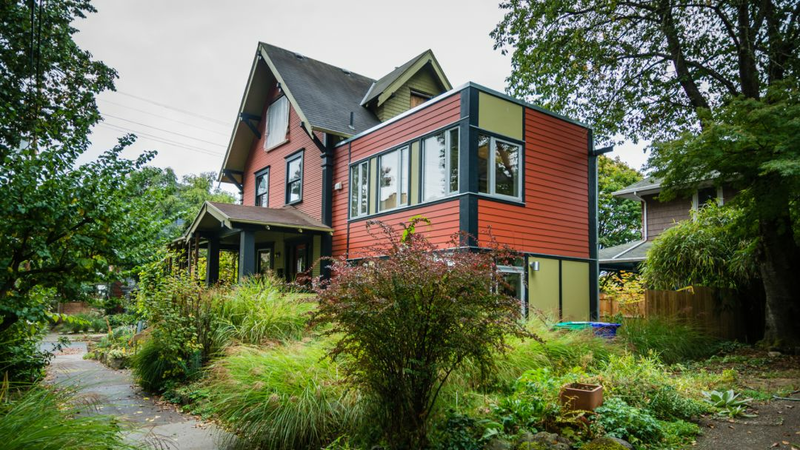 ADUs are small houses, but they’re houses that are right-sized for the type of demographic that Portland and every other US city has—one- and two-person houses. Nowadays, in the 2010s, two-thirds of the population lives in one- and two-person households. So it’s important to build housing that’s sized for them. There’s a huge number of single-family homes, and those are 2,500 square feet. They’re far too large for a one- or two-person household because of heating and cooling. The second biggest variable is how much time we spend in a single occupancy vehicle. We’re providing housing where people have less need to get in their single occupancy vehicles and drive around. All those things are significant in reducing our carbon footprint over the course of a year. You are necessarily going green by building an ADU. 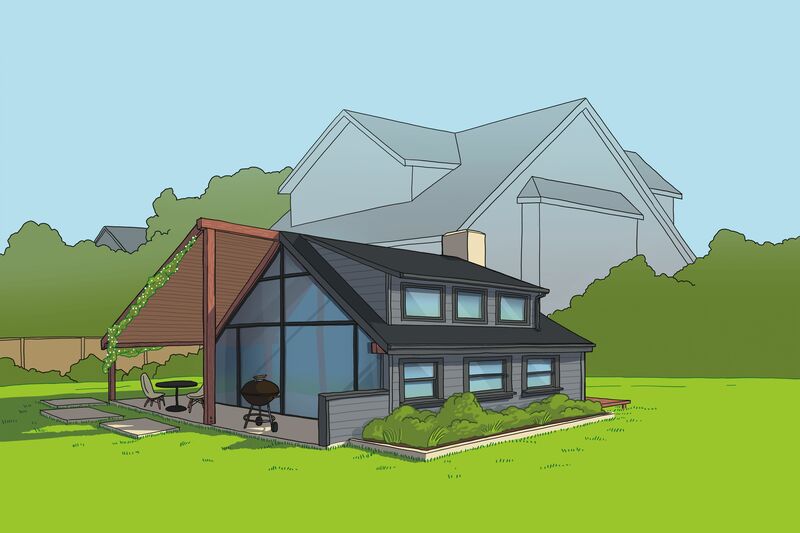 What are design principles to keep in mind when building an ADU? 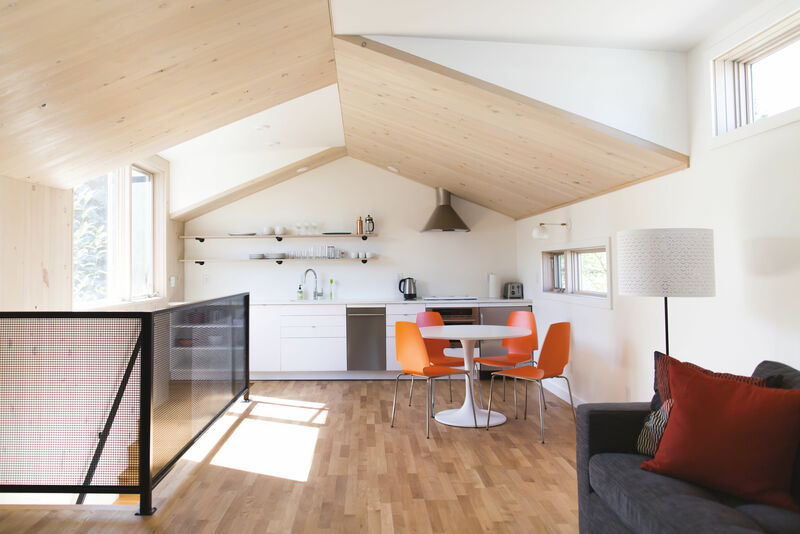 ADUs are inherently small. So you want to make the space feel and act bigger than it really is. One best practice is to build a great room, which is a kitchen, living, and dining room combined. Another best practice is to have high ceilings wherever possible and create a direct visual connection through French doors or large windows to the back yard. Another best practice in Portland is to face windows to the south, so you face windows to the light. Roughly half the ADUs that are being built are two stories, one bedroom. So one best practice I’ve observed is putting a lofted bedroom on the second story. If you have a lofted bedroom it leaves half the vaulted space, so it makes the ADU feel really big. What do you see as the future of ADUs? I think ADUs are on the precipice of a massive explosion in many US cities. Up till now, it has only been a popular housing form in Portland and a little bit in Austin, Texas. This year, I think we’ll see a huge spike in Los Angeles, Santa Barbara, San Francisco, and several other US cities. And by 2020, I think we’ll see the movement explode in tens of cities across the country. I think Portland has set a really great example and precedent for a lot of cities that are facing similar housing shortages in this country.